The course is 5000m (5K) long. The course is at Miners Welfare Park, Bedworth. The course is run on a mixture of tarmac paths and trail paths. Some sections of the course may accumulate mud, leaves and puddles after rain. Dependent on availability, marshals will be at key sections of the course, or signs will be in place. Runners pushing all terrain buggies are also welcome, but please take extreme care of other runners around you. If possible start from the back of the field and try to keep to one side of the main body of runners. We hope these tips help to ensure that Bedworth parkrun is fun and safe for everyone. The event starts on the footpath near to the zip wire. The course is 3 laps, one lap of the park followed by two slightly longer laps. 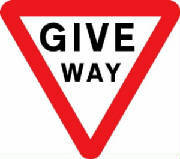 Please keep right and overtake on the left. Lap 1 - clockwise lap of the park. Lap 2 - continue round on the tarmac footpath and turn left onto a downhill trail and right turn at the bottom along the trail path. Take a further right turn uphill on the tarmac path then left back out onto the main footpath around the park. Lap 3 - as lap 2, except parkrunners turn left after the zip wire and the finish line is alongside the tennis courts. Community Gardens and The Mayor’s Café. Children’s play area and skate park. Leisure Centre with café and cycle parking. The event starts on the footpath near to the zip wire. Bus: Regular bus services run to and from the town centre providing links with the local area and surrounding region. For further information on bus routes and timetables, please visit Warwickshire County Council’s website. Train: Bedworth Railway Station is situated less than half a mile from the start and finish of the course. Visit the National Rail website for timetables. From the Railway Station turn right onto Bulkington Road (B4029) and head towards town centre. At the second traffic island turn left onto Rye Piece Ringway. Take the next left walk past Bedworth Ex Servicemens Club and into the Miners Welfare Park. There are numerous entrances into the Miners Welfare Park, the main ones being from Coventry Road, Rye Piece Ringway and Queen Street. If using SATNAV the nearest postcode is CV12 8JT. From M6 Junction 3: Exit the roundabout onto the B4113 towards Bedworth. At the next roundabout take the second exit and continue on Longford Road/Coventry Road (B4113). There is a choice of car parks within the area, Spitalfields No. 1 is the largest. Miners Welfare Park, Rye Piece Ringway, CV12 8JT. Spitalfields No. 1 & 2, Rye Piece Ringway, CV12 8HU. Bedworth Leisure Centre, Coventry Road, CV12 8NU. Please view Nuneaton & Bedworth Borough Council’s website for further information. Every week we grab a post parkrun coffee in The Mayor’s Café - please come and join us!